Charles Darwin and Alfred Russel Wallace, two biologists in Victorian England, claimed that all living species were descended from one another as a result of chance processes, and that they continued developing by those same changes until human beings finally emerged. 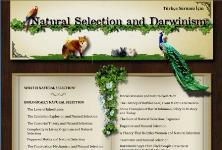 The first study on evolution by way of natural selection was jointly prepared by Darwin and Wallace. Instead of competing with one another on the subject of the theory of evolution, each admitted the other’s contribution to this fantastical theory. Wallace even supported Darwin’s theory of natural selection in his book entitled Darwinism. However, the two biologists were shortly to take different paths with regard to their illusory theory. Darwin believed that the principle of natural selection did not account for only the emergence of morphological features such as toes or the nose, but that it also determined brain structure and therefore, mental capacities. In Darwin’s view, natural selection was the force that altered and developed human beings’ abilities in music, art and literature and which influenced their ability to think and take rational decisions. However, Wallace did not share that view. He thought that Darwin’s principles could account for fingers and toes or simpler features, but believed that it was impossible for superior human abilities such as mathematics and music to be the work of blind coincidence. The main reason why Wallace opposed the idea that blind coincidence could be the source of a Mozart’s abilities was the element that can be described as “potential intelligence.” Wallace suggested that we imagine that we have taken a young member of Aborigines unable to read or write. Let us then educate that youngster in a modern state school in Rio, New York or Tokyo. There will of course be no difference between that youngster and children brought up in those cities. As Professor Vilayanur Ramachandran explained: “According to Wallace, this means that the aborigine or Cro-Magnon possesses a potential intelligence that vastly exceeds anything that he might need for coping with his natural environment. This kind of potential intelligence can be contrasted with kinetic intelligence, which is realized through formal education. But why the devil did this potential intelligence evolve? It couldn’t have arisen for learning Latin in English schools. It couldn’t have evolved for learning the calculus, even though almost anyone who tries hard enough can master it. What was the selection pressure for the emergence of these latent abilities?” 117Since Wallace believed that organisms evolved by being descended from one another via unconscious processes, he wanted to discover how this imaginary theory could account for the development of human intelligence. However, since such a thing never actually happened, he was unable to come up with any logic to back up that claim. At this point, there was a parting of the ways between Wallace and Darwin, who insisted that natural selection was the propulsive force of evolution and that even the most mysterious mental characteristics developed without being created by a Sublime Being. 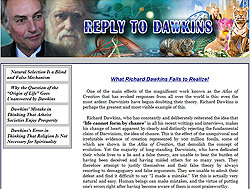 Darwin regarded Wallace’s claims as a grave threat to his own theory, and said this about natural selection in a letter he wrote to Wallace in 1869: “I hope that you have not murdered too completely your own and my child.” 122This conclusion Wallace reached was of course incompatible with the theory of evolution, launched in order to be able to deny the existence of Allah and which drew its strength from materialism. For that reason, Wallace’s ideas were swiftly swept under the carpet. Materialist circles needed to bring to the fore the idea that everything came into being through unconscious processes, and Darwin led the way in that regard. Darwin’s theory of evolution maintains that tigers, antelopes, rabbits—in short, all the living things on Earth—came into being by chance, with no conscious intervention involved. 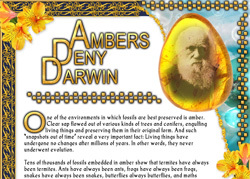 Darwinism regards chance as a false deity capable of performing miracles of evolution. This theory, which is very definitely unsupported by science and is constructed on the most illogical foundations, has suffered a total defeat in the face of the perfect attributes of living things. 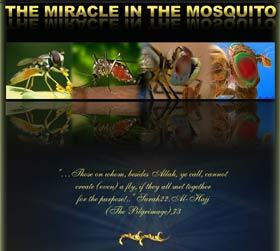 Sublime, complex features prove Allah’s perfect creation of all things. 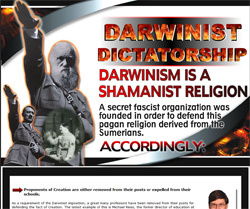 Ever since the 19th century, materialists’ main focus has been propaganda on behalf of Darwin and Darwinism. In the 19th century, which was far more scientifically backward compared to today, it was easy to claim that natural selection gave rise to the development of all living species. 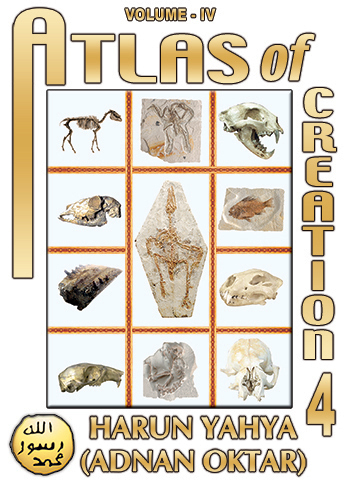 The fossil strata had not been examined in depth, and the principles of genetics had not yet been discovered. It was not hard for Darwin and his supporters to distract people with imaginary scenarios given the relative ignorance, at that time. Yet even then, people were aware of the fact that human consciousness could not be explained in terms of evolution—as noted by Wallace, despite his being one of the founders of the theory of evolution. No mechanism that operated unconsciously could account for the existence of consciousness. Evolutionists maintained that events taking place by chance, and therefore permitting no room for consciousness, in some way gave rise to consciousness, awareness, and creativity. Twentieth-century science also put an end to the theory of evolution in the fields of paleontology, biology and genetics. The theory’s lack of proof and invalidity has been made clear, and it has been proven that living things were created with all their complex structures. For this, there was no logical explanation. The theory of evolution suffered a major surprise in the 20th century. First, paleontology declared that the missing intermediate-form fossils that Darwin had been sure would be discovered in the future did not exist in the geologic record. Almost every sedimentary stratum in the world had been excavated, yet none of the intermediate forms expected by Darwin and his supporters had been found. A second surprise for the theory of evolution was the newly discovered science of genetics, which soon showed that life forms were far too complex and had structures that were far too stable to have come about by way of the natural selection envisaged by Darwin. Advances in science revealed that the cell was not a fluid-filled balloon, as Darwin had imagined, but an irreducibly complex structure consisting of many highly complex organelles and possessed of intelligent mechanisms. The discovery of DNA represented perhaps one of the most lethal blows to the theory of evolution. This giant molecule, containing all the genetic information of living things, was far too complex to have developed by chance, and also had too delicate a structure to permit any change to take place within it. According to evolution, living things changed in their descent from one another by acquiring entirely new structures, organs, and features belonging to other life forms. The facts revealed by the science of genetics, however, showed that this could not happen in the manner claimed by Darwin. No scientist could dispute the complexity revealed by genetics. Accordingly, Darwinists felt the need to concentrate on elements that might lead to alterations in the genetic structure. The only mechanism they could find for that purpose, in their own eyes at least, was mutations. They quickly adapted a new theory, neo-Darwinism, and claimed that the “mechanism” of mutations brought about genetic change. However, these people—all of them scientists—interestingly ignored that 99% of mutations are harmful or even fatal to the organisms, while the other 1% have no effect at all. Even under controlled laboratory conditions, it was impossible to bestow new genetic information on organisms by way of mutations, much less to turn them into more advanced life forms. On the contrary, every mutation either deformed an organism or led to its death. It thus became obvious what kind of effect mutations would have in an uncontrolled natural environment. 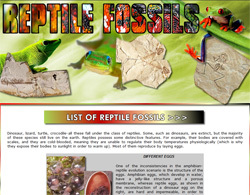 The conclusions revealed by paleontology and the facts demonstrated by genetics forced evolutionists to make constant new adjustments to their theories. Once genetics eliminated the possibility of evolution by means of natural selection, they put their hopes on mutations. And as paleontology revealed the truth about the fossil record, they resorted to the concept of “punctuated equilibrium.” All the undeniable evidence against evolution revealed by science left the theory of evolution with no explanations to offer and left it totally bankrupt. The new modifications made to the theory never led to the results evolutionists had hoped for, not a single piece of evidence supports evolution. Every claim made by the theory was discredited. 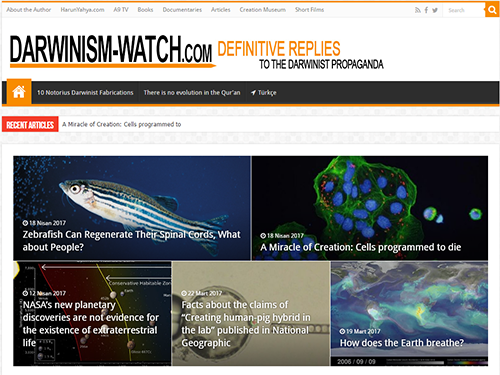 All the claims made by evolutionists were scientifically refuted. Yet evolutionists knew that one subject in particular demolished all their claims right from the outset, and they openly admitted it. This was “consciousness,” which Alfred Wallace described as being impossible to have developed by way of evolution, even as he proposed that very theory. After Darwin, evolution’s proponents tried various explanations for the subject of consciousness, something which was utterly inexplicable in Darwin’s terms. They claimed that imaginary primitive humans had encouraged the evolution of the brain by establishing communication with one another and by beginning to hunt and use tools. They then maintained that with the supposed development of the brain, language developed and that the ability to speak gave rise to rational thought—the most important difference between the human and the other animals. But these claims lacked any scientific foundation. 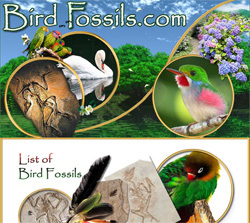 The fossil record provided not a single finding that constituted evidence for any of them. Scientific research, and experiments regarding language and consciousness, eliminated any possibility that such developments could have occurred. 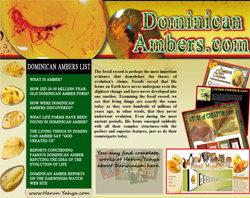 All Darwinists had to offer were claims, which in roughly the same manner as all evolutionist literature, were described in terms of a dynamic scenario, but which referred to no scientific evidence. Why? Because evolution never happened. In addition to being unscientific, this claim is logically inconsistent. Evolutionists maintain that the intelligence—which supposedly emerged by way of evolution—developed the use of tools, and that intelligence then developed thanks to the use of those tools! Evolutionists need to be able to account for the contradiction inherent in this chicken-and-the-egg scenario. This only emphasizes the dichotomy into which Wallace fell as he proposed his theory of evolution, but it still applies to the theory of evolution today. Darwinists must have realized that their claims regarding the evolution of human consciousness, based solely upon interpretation, were inadequate, inasmuch as they felt the need to dress the matter up with scientific terminology. They therefore suggested a concept they called “the phenomenon of emergence,” which, they claimed, played a role. This is merely a Darwinist dream, one that they intensely long to be proved true. Consciousness can definitely not be explained in terms of the ridiculous and unproven claims of evolution. Could an entity who enjoys the rhythm of the music, enjoys a meal or else finds it lacking in flavor, loves and feels affection for another person, who investigates its own identity, who examines its own brain in the laboratory, makes discoveries, solves problems, rejoices in its successes, composes and writes books, have possibly come into being as the result of unconscious coincidences? What random chemical event could teach a human being to behave properly, to be considerate of the welfare of others? As a result of what random phenomenon can a human being possess the ability to learn something, remember it, teach it to others and to rule nations, to rejoice, grieve, become emotional, surprise, worry or make plans? What unconscious phenomenon could make human beings capable of taking instant and logical decisions in moments of difficulty? Could the unconscious atoms in the brain possibly turn an animal into a human who constructs skyscrapers, makes airplanes, manufactures computers, voyages into space by discovering and solving mathematical formulae and who designs robots resembling himself? How could a bacterium have developed into human beings who have founded glorious civilizations all over the world and produced such extraordinary technologies? Evolutionary theoreticians need to answer all these questions, and more. They must explain how coincidences and random, unconscious effects gave rise to consciousness. They should account for how unconscious events behaved in a manner superior to consciousness itself and exhibited more intent than many a conscious entity. If evolution truly took place, they would first have to come up with supporting scientific evidence and then resolve all these illogicalities. 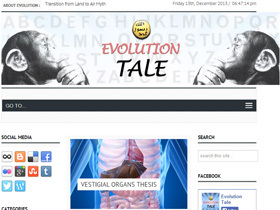 But have evolutionists been able to bring a scientific explanation to bear? Do they have a solution to the dilemma of how unconscious events bring about consciousness? Have any of these questions been explained in the countless evolutionist books that have been written, in countless evolutionist articles and conferences? No! 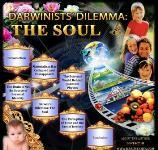 Are Darwinists Aware That They Have Souls? Modern science has confirmed that human intelligence does not stem from exchanges between brain cells, as materialists long maintained. To put it another way, there is a presence in each human body that is not the product of that body’s functions and has no corporeal nature. The theory of evolution—the product of materialist philosophy that accepts no accounts apart from the absolute existence of matter—is at a total loss in the face of the human soul, which lacks any material existence. 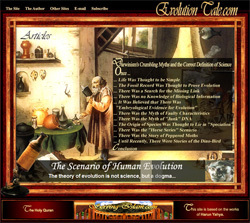 Evolutionists have countless scenarios and tall tales regarding the supposed evolution of living things. Yet not a single one of these has been scientifically proven, even while science and technology have clearly declared the impossibility of such evolution. Among these insoluble dilemmas facing the theory of evolution, what makes the subject of consciousness special is the way that evolutionists have been unable to invent any scenarios on the subject, much less explain it in terms of any physical evidence. Advanced scanning devices, the products of modern technology, have dashed materialists’ expectations of any region or process in the brain that gives rise to intelligence. No materialist account of human intelligence has been produced. The reason why materialist mindsets engage in such quests is the failure to understand the true concept of consciousness. Failing to understand that they have a soul, they do not act in the awareness of that fact—which is the sole reason for their espousal of Darwinism. Were they aware of the extraordinary nature of their own consciousness—an entirely metaphysical reality—they would realize that they possess a soul and it would be impossible for them to be Darwinists. Darwinists maintain that the human eye’s irreducible complexity evolved by chance, and that human beings also developed their vision by chance. They regard human beings, who see colors, are able to perceive their surroundings and to interpret them, as the end product of coincidental interactions between cells. They claim that the cells of the eye catching the light outside and the existence of the brain are enough to let us perceive a brightly colored world. Yet they fail to understand that this organ must open and close, detect and perceive images, make conscious decisions of where to look and, in short, behave in accordance with the dictates of the soul. No Darwinist admits to sensing the consciousness within him. It is impossible to feel it and still remain a Darwinist. It is impossible to claim that this consciousness within consists solely of a collection of cells that reached this level by developing from a bacterium and that everything one possesses and perceives is the product of unconscious coincidences. It is impossible to maintain this with a normal conscience and consciousness. 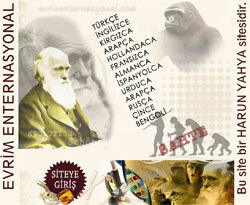 Darwinists are unaware that inside them is an entity that sees, thinks, reasons, interprets, loves, rejoices and grieves. The moment they do become aware of it, they immediately abandon ascribing divine powers to matter. Our ability to recognize someone approaching and being delighted to see them are no longer matters involving science. They are facts that go beyond physics and cannot be explained in terms of any physical or material structure. It is impossible for anyone aware of the consciousness inside them to claim that matter is the absolute be-all and end-all. For that reason, Darwinists have developed a completely separate conceptual structure, and mode of perception. There is no doubt that it is Allah Who best knows the truth of this. For those who think in a normal way, it is a simple matter to acknowledge the “I” that feels and perceives the consciousness within them and to understand that they possess a consciousness that lies outside the brain. But since Darwinists have an entirely different way of thinking, they are unable to see the existence of a soul beyond matter, or the consciousness that belongs to them. It is easy to observe this in any Darwinist. A special system of thinking that operates in a different way thus makes Darwinists reject any accounts apart from matter. However, anyone with a normal, healthy awareness can easily see that the world is an ensemble of perceptions, and that the “I” who perceives this is different from the light outside, the brain, ear, eye and electrical signals. External light of a certain wavelength may cause the color red that we see, but there must also be an explanation of the “I” that realizes it is red and determines it to be so. A rational person will immediately conclude that all such perceptions belong to the soul, because such a person will be aware of the consciousness he possesses, the awareness he refers to as “me.” Such a person can easily see the illogicality and invalidity of all materialist accounts, and will immediately realize the great error that Darwinism is. Not being deceived by Darwinist propaganda requires that one take none of these claims seriously, because those people who make such claims have a different conception. One convincing proof of this is the way that the same materialist propaganda has persisted without interruption, even though it is known to be unscientific since the beginning of the 20th century—since quantum physics’ discovery of matter’s true essence. Matter, on which foundation their theories and philosophies were based, has disappeared, but this has still brought no new realization to Darwinist and materialist circles. For that reason, it is a grave error for anyone who has understood the true nature of matter and who has realized the “self” to be deceived by Darwinist fictions or to admit that any hollow materialist claims might be true. Anyone who can see the evidence of the soul they possess and realize the existence of an Almighty and All-Powerful Creator of all things, will become an entity with superior capacities to reason, too elevated to be taken in by Darwinist deceptions. By means of it, such a person appreciates Allah’s supreme might and knows that he has an eternal soul created out of nothingness. He is amazed at the vivid, matchless world that his soul is made to perceive—the artistry of Allah Who created it as an intensely amazing illusion. He also knows that this world is not the true home of his eternal soul and that he must strive to attain that true home, as promised by Allah. The true abode of the soul is the Hereafter, which has been created for all souls, for all the human beings who have ever lived. Humans will be confronted by infinite blessings or suffering in the Hereafter. The life of this world, which consists solely of images, is a place of testing for that eternal life. Whether a person will live amid eternal blessings, or whether he will be exposed to suffering, will be determined by the moral values and manners he displays and the deeds he does in this world. Virtue and good deeds are possible through sincere belief in Allah and adherence to the Qur’an.